The U.S. Products King Cobra1200 comes with a 15' vac/sol hose set, a drag wand, and a HFT-40 hard surface tool. This machine is ready to clean as soon as you receive it! The tile cleaner comes standard with an adjustable 1200 PSI pump for power washing porous surfaces like tile and grout. A high volume water flow of 2.2 gallons per minute (GPM) guarantees thorough cleaning of all hard surfaces. 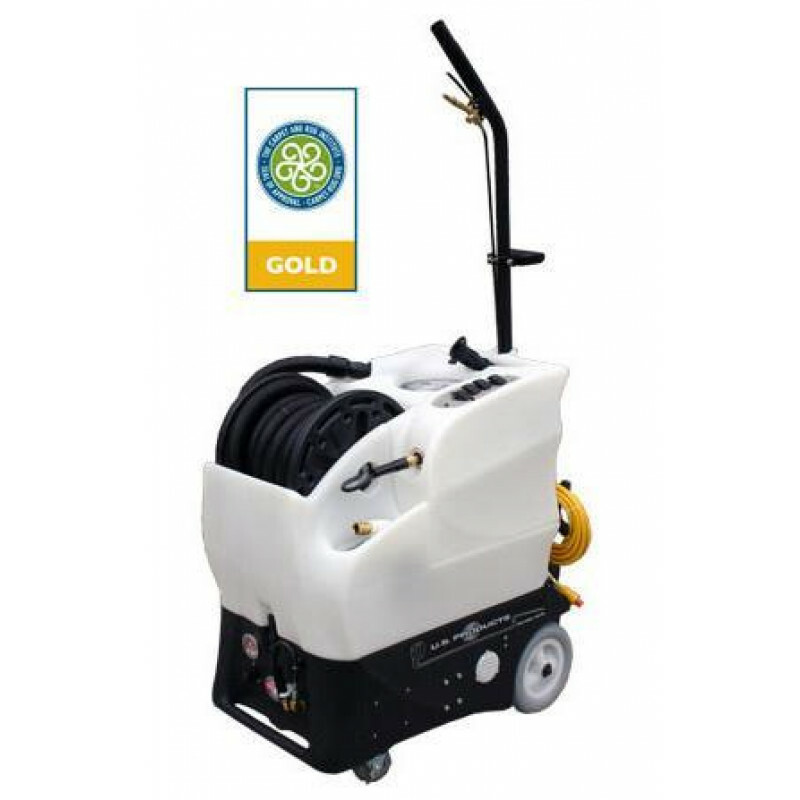 The King Cobra 1200 comes with a 25 foot hose and the Rotary Hard Surface Grout Cleaning Tool, which we also sell separately. Add one of our handheld tools for complete cleaning of counters, walls, and edging, as well as removal of your solution. Finding the right machine for the job can be challenging, but look no further than the King Cobra 1200. The auto-fill and auto-dump features allow for continuous cleaning and no down time, saving you time and money. Take a look at our complete line of tile & hard surface cleaners, for all our tooling options, as well as other machinery. Comes with a 25' vac/sol hose set and a HFT-40 hard surface tool (handheld tools are sold separately). 12" non-marking rear wheels allow for easy transportation from job to job. One pass cleaning. Wash, rinse, and recover in one easy cleaning pass. Powerful 3-stage vacuum for maximum water recovery and quick dry times. Auto-fill and auto-dump for uninterrupted cleaning. Circuit locator to eliminate blown fuses, and/or breakers. Customers who were interested in the U.S. Products King Cobra 1200 Pro Carpet & Tile Cleaner were also interested in the following items. This is a review for the U.S. Products King Cobra 1200 Pro Carpet & Tile Cleaner.